Hollywood Icon, Producer, Director, Recording Artist, Actor of Stage, Screen & TV made Television history on November 21, 1980 when over 350 million fans in 57 countries were glued to their television sets to find out Who Shot J.R.? on the hit show “Dallas”. On June 13, 2012 he once again made Television history with the TV series “Dallas” returning as a continuation series 20 years later on TNT with 10 episodes and now renewed for a second season returning January 28, 2013, (the only TV Drama to return to Television as a series). 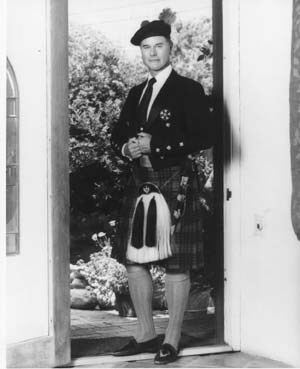 Larry was born in Fort Worth, Texas on September 21st, the son of actress Mary Martin and attorney Ben Hagman. When his parents divorced, he moved to Los Angeles to live with his grandmother. After his grandmother's death, Larry, who was only 12, returned to live with his mother, who had remarried and was pursuing a successful Broadway career. He later went to live with his father and graduated from Weatherford High School. After a year at Bard College in Anandale-on-Hudson, New York, Larry decided to follow in his mother's theatrical footsteps. His first professional stage experience was with the Margo Jones Theatre-in-the-Round in Dallas, Texas. He next appeared in the New York City Center production of Taming the Shrew, followed by a year in regional theatre. 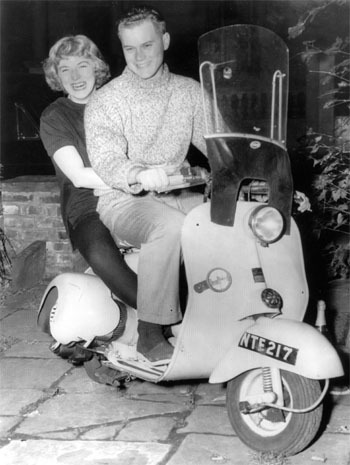 Larry moved to England as a member of the cast of his mother's big stage hit, South Pacific, and stayed for five years. There he joined the U.S. Air Force, where he produced and directed several shows for members of the service. 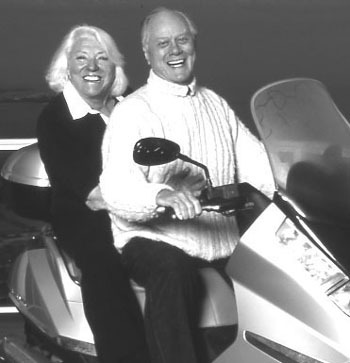 While stationed in England, Larry met and married Maj (pronounced "My") Axelsson (December, 1954), a young Swedish designer who Larry insists is "the best thing that ever happened to me." 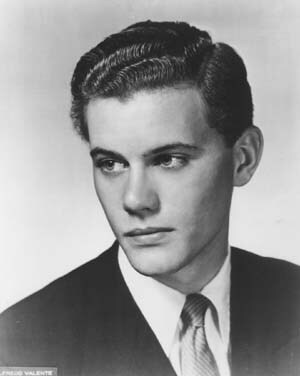 After completing his military service, Larry returned to New York for a series of Broadway and Off-Broadway plays, including Once Around the Block, Career, Comes A Day, A Priest in the House, The Beauty Part, The Warm Peninsula, The Nervous Set, among others. After eight years in New York, Larry decided to pack up his family - - which then included a daughter, Heidi Kristina Mary and a son, Preston - and moved to Hollywood. His noted television guest star appearances include such shows as "The Alcoa Hour," “Decoy,” “Goodyear Playhouse,” “Studio One in Hollywood,” “Search for Tomorrow,” “Kraft Theatre,” “Harbormaster,” “The Dupont Show of the Month,” “The United States Steel Hour,” “Diagnosis: Unknown,” “Play of the Week,” “Mr. Broadway,” “Rod Sterling’s Night Gallery,” “Dan August,” “The Name of the Game,” “Medical Center,” “Love Story,” “Police Woman,” “McCloud,” “Police Story,” “Lucas Tanner,” “McCoy,” “Doctors’ Hospital,” “Harry O,” “Three for the Road,” “Ellery Queen,” “The Streets of San Francisco,” “Barnaby Jones,” “McMillan & Wife,” “The Rockford Files,” “What Really Happened to the Class of ’65?,” “Sword of Justice,” “Walt Disney’s Wonderful World of Color,” “The Simpsons,” and “Des Traumschiff”. Larry was a regular on such shows as the daytime drama "The Edge of Night," “The Defenders,” “The DuPont Show of the Week,” “I Dream of Jeannie,” “The Good Life,” “Here We Go Again,” “Dallas, Orleans,” “Sheer Dallas,” “Nip / Tuck,” and “Dallas” the continuation. Recurring roles were in “Sea Hunt,” “The Rogues,” “Love American Style,” “Marcus Welby, M.D.,” “Knots Landing,” “Somos complices,” and “Desperate Housewives”. Television Movies-of-the-Week include: “Three’s a Crowd,” “Vanished,” “A Howling in the Woods,” “Getting Away From it All,” “No Place to Run,” “Applause,” “The Toy Game,” “The Alpha Caper,” “Blood Sport,” “What Are Best Friends For?” “Sidekicks,” “Hurricane,” “Sarah T. – Portrait of a Teenage Alcoholic,” “The Big Rip-Off,” “The Return of the World’s Greatest Detective,” “Intimate Strangers,” “A Double Life,” “The President’s Mistress,” “Last of the Good Guys,” “Police Story: A Cry for Justice,” “Deadly Encounter,” “Dallas: The Early Years,” “Staying Afloat,” “Dallas: J.R. Returns,” “Dallas: War of the Ewings” and as a TV Mini-Series: “The Third Twin” and “The Rhinemann Exchange”. Film roles included: The Cavern, Ensign Pulver, Fail-Safe, In Harm’s Way, The Group, Up In the Cellar, The Hired Hand, Beware! The Blob, Antonio, Harry and Tonto, Stardust, Mother, Jugs & Speed, The Big Bus, The Eagle Has Landed, Cry for Justice, Checkered Flag or Crash, Superman, S.O.B., I Am Blushing, Nixon, Primary Colors, and The Flight of the Swan. As a Producer he Executive Produced: “Dallas: War of the Ewings,” “Staying Afloat” and over 74 epiosides of “Dallas,” he co-executive “Dallas: J.R. Returns”. Larry Directed numerious episodes of “In the Heat of the Night,” “Dallas,” “The Good Life,” and “I Dream of Jeannie” along with the film “Beware! The Blob”. He has appeared on well over 150 programs as himself, as to a few soundtracks from Applause to The Nervous Set. Larry became a true TV star in 1965 in the comedy series "I Dream of Jeannie," in which he played an amiable astronaut whose life is plagued by a beautiful blonde genie, portrayed by Barbara Eden. It was not until 1977, when "Dallas" came along, however, that Larry's career took off again. He credits 'Superchick' (his affectionate name for Maj) for persuading him to do the series. This saga of an excessively rich Texas family, was one of the boldest, brassiest, most talked-about shows ever and, Larry Hagman, as the despicable, corrupt, merciless, millionaire J.R. Ewing, the man everyone loved to hate, was its centerpiece. The series ran for an unprecedented 13 seasons (from 1978 - 1991) and the Who shot J.R.? episode remains the second highest rated TV show in the history of the medium. Since his name had become synonymous with Texas, it was fitting that he host "Lone Star," an eight-part documentary series on the history of Texas, for PBS. The series, which aired in the fall of 1985, celebrated the 150th anniversary of Texas as an independent republic. In April 1987, Karl-Lorimar released "Larry Hagman — Stop Smoking for Life." Proceeds from the instructional home video went to the American Cancer Society. In 1992, a life-threatening situation arised, Larry was diagnosed with Cirrhosis of the liver and few years later a cancerous tumor developed. On August 23, 1995, Larry Hagman underwent a liver transplant that took 16 hours and saved his life. A little more than a year later, in November 1996, Larry starred in "Dallas: JR Returns", two-hour television movie which was a ratings blockbuster for CBS as well as in the network's one-hour, drama series "Orleans". His portrayal of Judge Luther Charbonnet garnered some of the best reviews of his career. Mike Nichols' Primary Colors film opened March 20, 1998 and starred John Travolta, Emma Thompson, Billy Bob Thornton, Kathy Bates and Adrian Lester. Larry received unanimous raves from the critics for his stirring performance as Governor Picker and rumblings of a possible Academy Award nomination for Best Supporting Actor were abound. Primary Colors is Larry's second 'presidential' film having also appeared in Oliver Stone's Nixon. Following those projects, the second “Dallas” reunion movie, "War of the Ewing’s", aired on CBS and Larry also served as Executive Producer. Off-screen, Larry is actively involved in numerous civic and philanthropic activities. An adamant non-smoker, Larry was chairperson of the American Cancer Society's Great American Smokeout from 1981 to 1992. During the summer of 1996, Larry served as the National Spokesperson for the 1996 U.S. Transplant Games presented by the National Kidney Foundation and, on November 2nd, received the foundation's Public Service Award for his efforts in heightening public awareness of the importance of organ donation. He continues to serve as an advocate of organ donation and transplantation. November 2004 - CBS aired the “DALLAS: The Return To SouthFork” reunion special — with ratings so high they re-ran the special twice during November Sweeps in the same week, breaking all records. In 2006, Larry participated in the Love Ride 23 Harley Davidson in Glendale, California. That year's event raised a record 1.7 million dollars for charities dedicated to improving the quality of life for those less fortunate. Also in 2006-2007, Larry joined the hit show "NIP/TUCK" on FX for the show's fourth season playing Burt Landau. In addition to that he shot a few films overseas, and did a Spanish soap-opera “Somos cómplices”. Upcoming shows in the future include, the CBS Special “I Get That Alot,” and a National Geographic TV Special “The 80’s – The Decade That Made Us”. In October of 2011, he was diagnosed with throat cancer. He underwent six weeks of chemo and radiation and continued to work the whole time while filming the new “Dallas” series. By March of 2012 the cancer was in remission, and Larry was back to an even busier schedule doing the press for the launch of the continuation of the new 'Dallas" series. He was later diagnosed in July of 2012 with MDS and the cause of this death was due to complications of Acute Myeloid Leukemia. He continued to work on the show he loved with the people he loved, right up to his final curtain call. An avid Harley-hog, he also enjoys fishing, traveling, collecting hats and flags. Larry lived in Southern California. He believes that life should be filled with happiness --"Don't Worry, Be Happy, Feel Good" is the family motto.